Nobody knows who it comes from and nobody knows why: for the third year running, though, a mystery puzzle of dazzling proportions has thousands of computerphiles scrambling to decode messages buried in pictures, literary works, and music, using high-tech cryptography programs. Real-world QR code clues have surfaced in eight countries. Sound like a plot from a Dan Brown novel? It’s not. Welcome to Cicada 3301. Equally fascinating to me is how it’s being solved. This is not an “every man for himself” effort. Instead, there are a burgeoning number of informal networks and online forums that have sprung up to arrive at a solution. 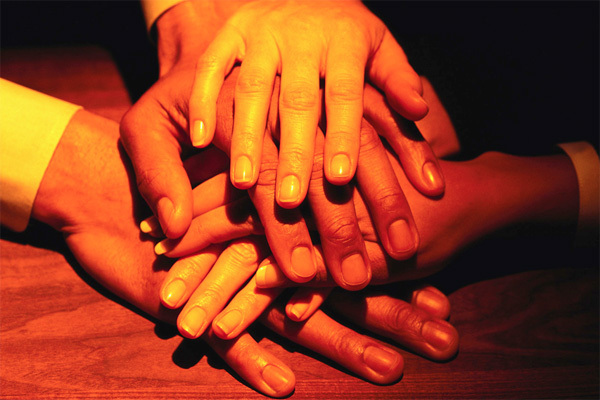 It’s called “mass collaboration” — a free-flowing sharing of creative ideas and knowledge toward a common goal. Today, mass collaboration isn’t just being used by computer hackers to solve intriguing crypto-puzzles — it’s being used to solve intractable problems. In 2012, Icelandic citizens “crowd-sourced” the development of a new constitution by using social media. In 2013, NASA sponsored the International Space Apps challenge: a two-day event that brought together more than 9,000 scientists, technologists, artists, educators, and students from across the globe to solve challenges on topics ranging from spotting meteors to urban poultry farming. And, perhaps the most well-known example of online mass collaboration is Wikipedia, which, for better or worse, ended our love affair with hefty encyclopedias and furthered the goal of making knowledge free and accessible to all. 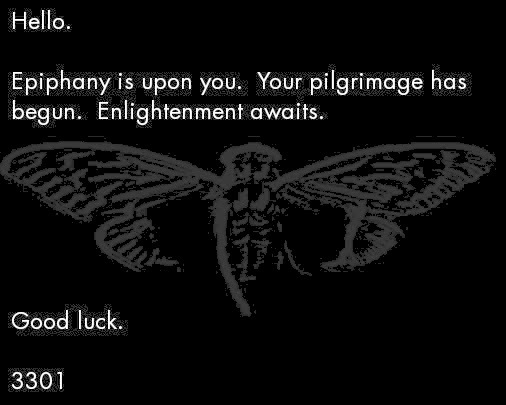 A mass collaboration challenge, such as Cicada 3301, forces players to combine their efforts and leverage their strengths. Joel Eriksson, who solved the puzzle in 2012, identified some of the clues as geographical coordinates, so he enlisted players in those regions to join his team because he couldn’t travel to the locations himself. Similarly, an interdisciplinary challenge encourages players from different parts of the organization to join together. For example, we created a credit card business simulation that required input from sales, account management, and finance to create the most profitable company. With a common goal, the players learned not only about profitability in general, but how the different disciplines function and can work together toward that goal. You will want to reward the winning team or teams with some kind of prize and recognition — but the winning teams can be thought of as your prize. Think about tapping them in the future as a micro-committee to consider and solve complex business challenges. Workshops often begin with some kind of icebreaker or warm-up exercise. The idea is to loosen up, have some fun, and get the creative juices flowing. Mass collaboration takes this concept to a grander, company-wide scale: a clever brainteaser gets employees out of their day-to-day box, and encourages them to engage in creative thinking; again, working together toward a common goal. Capitalize on those creative juices by setting aside time for the teams to debrief the exercise. Then channel their collective energy by asking them to generate ideas for workplace or process improvements, or come up with new product or service ideas. Keep them in the mindset of brainstorming, problem-solving, and working together toward a common goal, and they’ll learn more about your business and ways they can be more creative, efficient, and productive as individuals and teams. While a mass collaboration exercise takes time to organize and implement, these benefits and others are in the category of “priceless” — potentially yielding problem-crunching think-tanks or highly profitable product ideas. For organizations looking to innovate and “think differently,” mass collaboration offers a unique approach to learning teamwork, cooperation, and problem-solving, with a welcome element of surprise. Nice article. I’m looking forward to the next one.